Demon. Born from a womb of shadows, sent to destroy their world, and you still believe you belong? 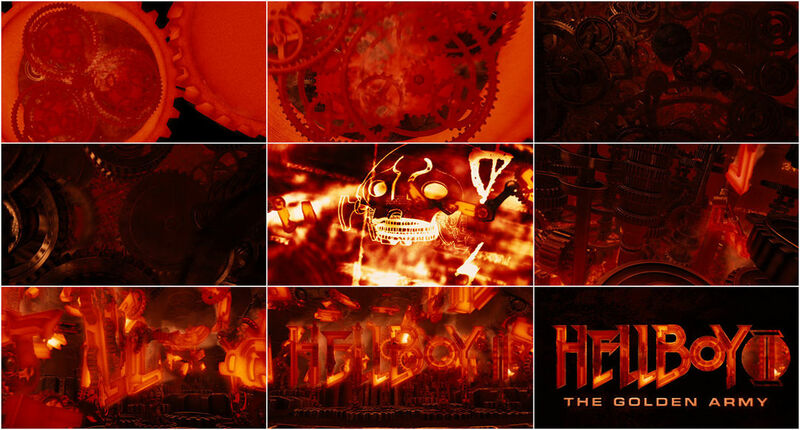 Combining a single, sweeping camera move with a jarring number of near-concussions as cogs and wheels self-assemble within inches of the viewer, the title sequence for Hellboy II is, essentially, a carnival ride through a mechanized version of hell, with a brief detour into a graphic, da-Vincian purgatory. 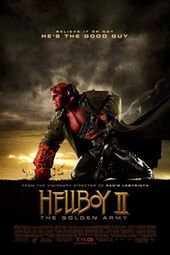 Created by Double Negative for Guillermo del Toro's arguably superior franchise sequel, the machine eventually forges the components of the Hellboy II logo – and, analogously, of Hellboy himself.